A U.S. government force with a reputation for speed and daring plans to spend as much as $2.5 billion over the next eight years to try to bring peace and democracy to trouble spots and flash points around the world. The Office of Transition Initiatives, or OTI, has a long list of potential targets, including Cuba. OTI, which is part of the Agency for International Development, or USAID, operates some programs openly, but disguises others so the American government role is not readily apparent. During a meeting with contractors in June 2012, Stephen Lennon, chief of OTI’s Field Program Division, highlighted the group’s ability to cloak its activities while in Colombia from 2007 to 2011. OTI was asked to go in and we did. And we didn’t go in as the U.S. government. In Colombia, nothing was branded. Nothing was branded USAID. 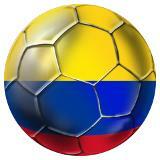 It was all - that’s right, soccer balls from the Colombian government, Acción Social (a Colombian government agency). We had a couple of different brands. What we did was create entities that looked, smelled, acted like they were the Colombian government and we worked very very closely with the Colombian government and the Colombian military to project their presence. (See 78-page transcript of the meeting). Skateboarders at Parque Lenin, south of Havana. This was the scene one morning across the street from the posh Hotel Parque Central in Havana. The hotel's current special: $190 per night for a standard room or $243 for a suite. Of course, you have to stay five nights to get that price. But if you are an American traveling legally to Cuba, you can't stay at the Parque Central at all unless you manage to snag a rate of no more than $90 per night. 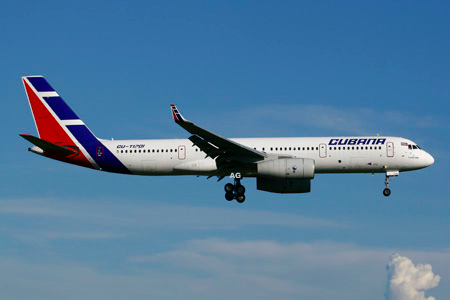 That's because the U.S. government sets spending limits for legal American travelers to Cuba. This isn't quite "Everything You Wanted to Know About Alan Gross, But Were Afraid to Ask." Many questions about his case remain more than three years after Cuban authorities nabbed him in Havana. We know that the Agency for International Development dispatched the American development worker to Cuba on a highly sensitive mission in 2009. Cuban authorities followed his movements at first, then arrested him and deposited him in jail. Discovering how he wound up behind bars, ever so far from his home in Maryland, is a winding trail of money, bureaucracy and barely intelligible acronyms. Below is a post aimed at answering basic questions in the case and adding context to new details that emerged this month in court records, confidential memos and other documents (see links to source material at end of post; and here's a Spanish-language translation of this post, h/t La pupila Insomne). A global development company, Development Alternatives Inc., or DAI, based in Bethesda, Md., and with offices in London, Islamabad and other cities. The company had revenue of nearly $300 million in 2012. What’s DAI’s connection to USAID? 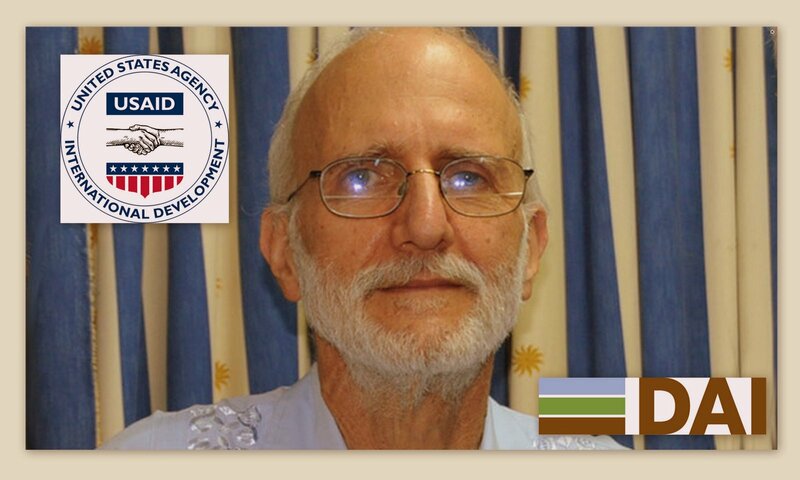 DAI is one of USAID’s top contractors. 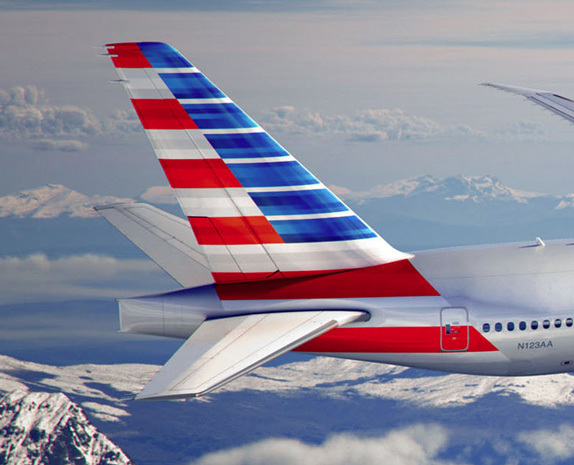 USAID has awarded more than $4 billion in contracts to DAI since 2000. 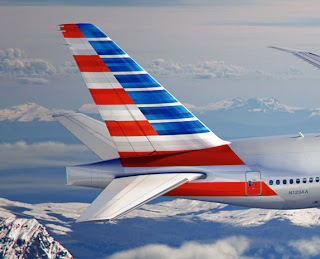 Two airlines, one American, one Cuban. Same colors, similar emblem. So is this détente? The view from the 138-foot-high Ferris wheel at Parque Lenin, south of Havana. U.S. officials stressed the importance of secrecy during a 2008 meeting with a Maryland contractor that had been chosen to carry out a new democracy project in Cuba, according to a confidential memo (download 8-page document). 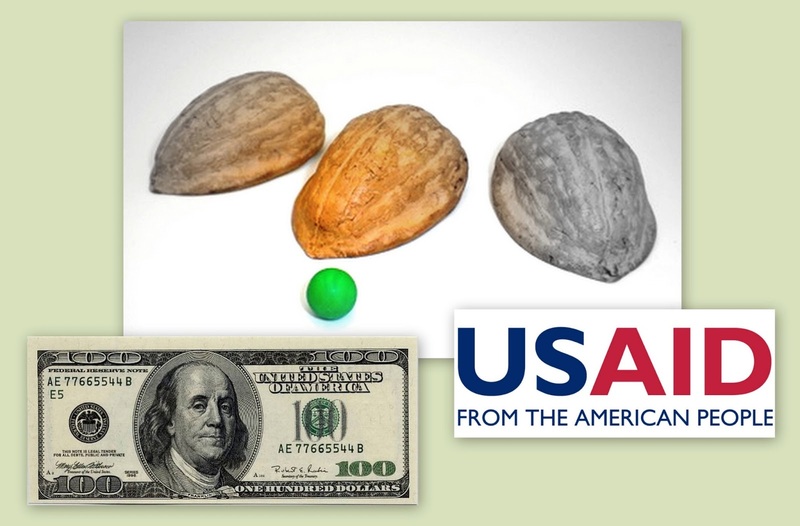 The project wasn’t considered classified, however, because the U.S. Agency for International Development wanted to create the illusion of transparency. Development Alternatives Inc., of Bethesda, Md., won the USAID contract on Aug. 14, 2008, and quickly hired Alan Gross, who was later arrested in Cuba while working on the project. DAI - not USAID, as some websites have reported - wrote the confidential memo to summarize what was said during a private Aug. 26, 2008, meeting with top USAID officials. Instead, the contractor would carry out a daring plan to set up satellite Internet connections under the nose of Cuban state security agents. USAID promised to protect the identities of contractors and their associates in and out of Cuba. “The program is not pressing (and will not press) them to disclose networks,” said the memo, which DAI filed in federal court on Jan. 15 as part of its reply to a $60 million lawsuit filed by the Gross family in November 2012 (See Spanish-language translation of this post here, h/t Letras Afiladas). 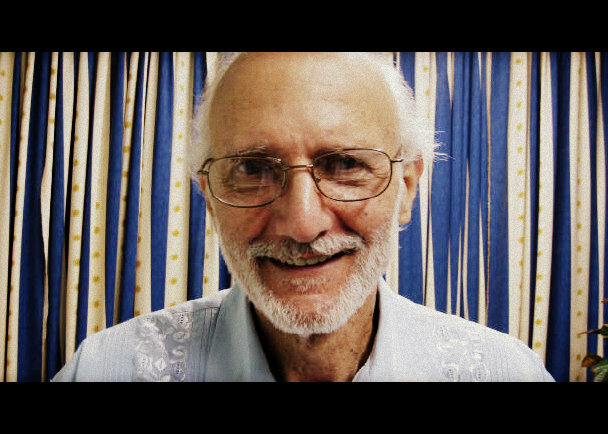 The U.S. government today declared itself immune from the $60 million lawsuit filed in November by American development worker Alan Gross and his wife Judy in connection with his 2009 jailing in Cuba. 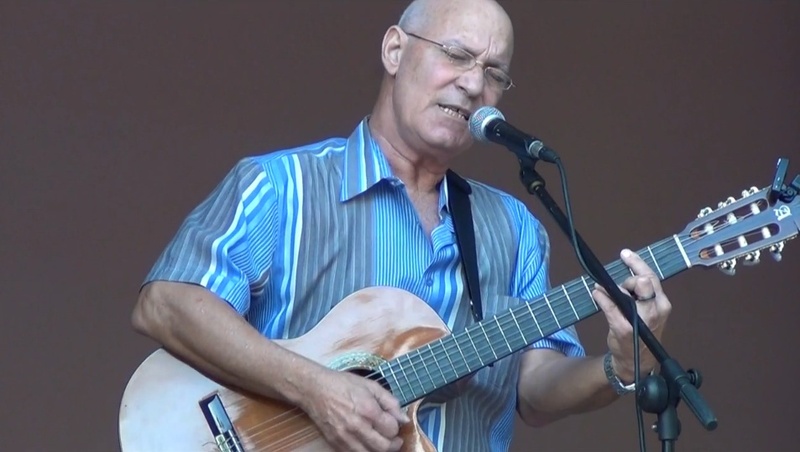 Since Mr. Gross’s detention, the United States has been and remains steadfastly committed to securing his immediate release from his imprisonment by the Cuban authorities. 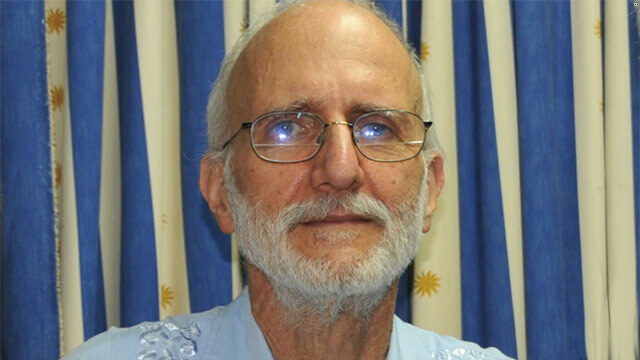 The United States Government sympathizes deeply with the Plaintiffs, Alan and Judith Gross, for their ordeal at the hands of the Cuban government. It continues to use every appropriate diplomatic channel to press for Cuba to release Mr. Gross unconditionally and allow him to return home to his family. Nevertheless, this Court lacks subject matter jurisdiction to hear the claims brought against the United States by Plaintiffs arising from Mr. Gross’s detention in Cuba. To be sure, suing the federal government - and winning - is an uphill fight. Sovereign immunity protects the government from most lawsuits. 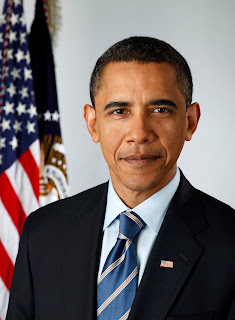 But the U.S. government waives immunity in cases covered by the 1946 Federal Tort Claims Act, or FTCA. 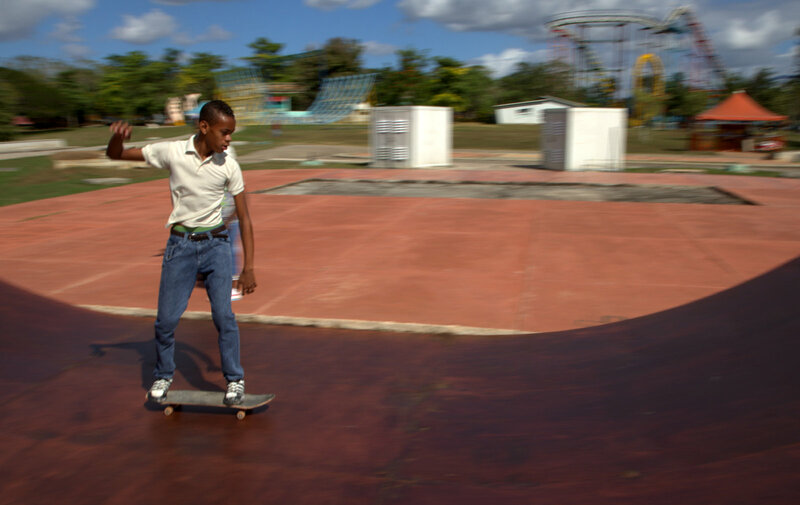 Cuba is evolving ever so slowly - certainly not fast enough for some - but it is changing. 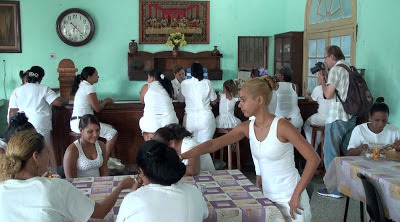 For the past few years, Cuban authorities have refused to allow Sánchez to leave the island. Traveling abroad will allow her to collect some of her international journalism prizes - including money that she can then use as part of her efforts to boost democracy in Cuba, something the socialist government has fought to prevent. Fingers crossed. 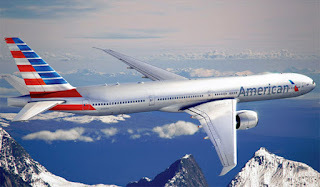 When I'm on the plane I'll believe it! This has been a battle against the demons of Migration Absurdities after 20 travel denials. 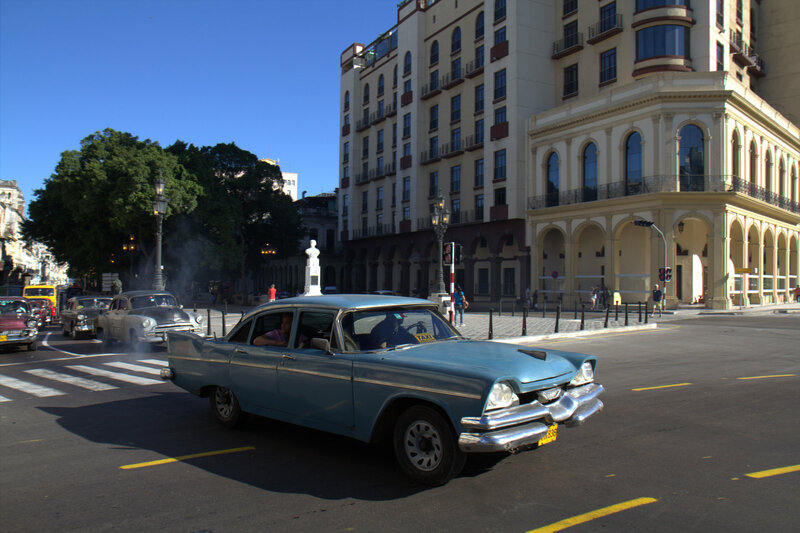 Cuba's evolving economy, U.S. policy toward Cuba, the Alan Gross affair and more were covered in a Brookings Institution event held in December. A transcript of the discussion is below (download PDF of 37-page transcript). 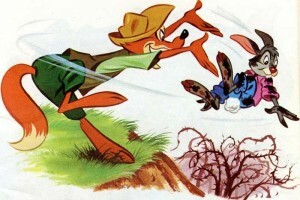 Comments about the Gross case - Piccone compares it to the fairy tale about Brer Rabbit and the Briar Patch - are toward the end. 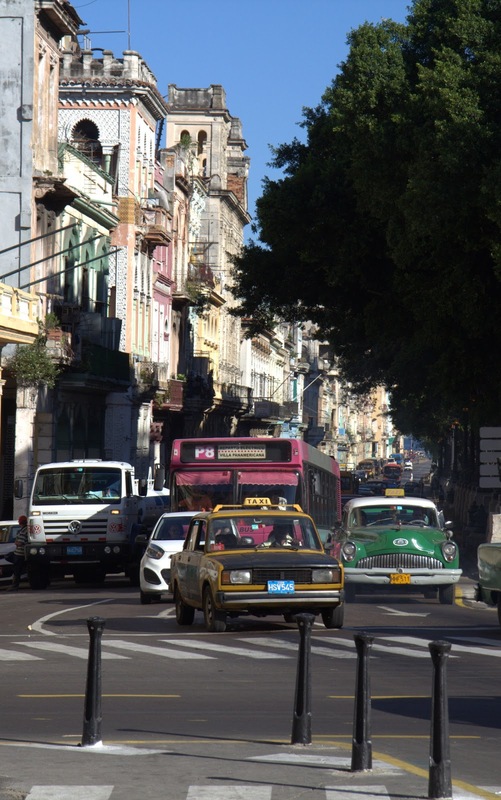 IN THE NEW CUBAN ECONOMY? MR. PICCONE: Good morning, everyone. I hope you have had a chance to get some coffee and something to eat. If those in the back could make their way in, I’d appreciate it. Thank you. I’m Ted Piccone. I’m senior fellow and deputy director for Foreign Policy here at the Brookings Institution. Fidel and Raúl Castro met Friday afternoon with the president of Argentina, Cristina Fernández de Kirchner. Fidel Castro's son, Alex, evidently took the photos at his father's home, near the 14th hole of the now defunct Havana Biltmore Golf Club and the Country Club of Havana. The Castro brothers have not appeared in public often over the years. See a few more photos of them together here. 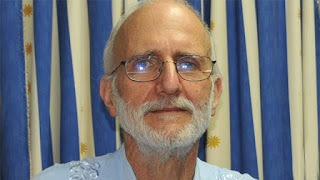 Contrary to the allegations made by the source of a denounce against the Cuban government, the detention of Mr. Alan Phillip Gross in Cuba has not violated any of the articles of the Universal Declaration of Human Rights, the International Covenant of Civil and Political Rights or the Group of Principles for the Protection of Persons Under Any Form of Detention or Imprisonment. Therefore, this in no way qualifies as an arbitrary detention. Sign spotted at artist's home in Cuba. 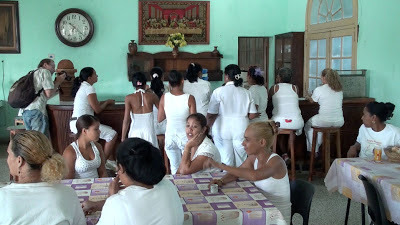 Members of the opposition group Damas de Blanco eat breakfast before heading out to march around the Catholic Church at El Cobre. 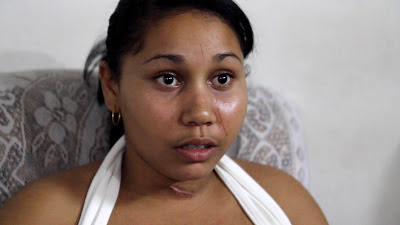 The 15-year-old Cuban victim of a knife attack and her aunt, a member of Las Damas de Blanco, say they plan to request political asylum from the U.S. government later this month. Berenice Héctor González, now in Havana, told me a woman attacked her with a pocket knife on Nov. 4 while she was talking on a public phone outside her home in the central town of Cienfuegos. The 10th grader said she felt something wet on her face and didn’t realize it was her own blood. Berenice said she then collapsed as her 19-year-old attacker slashed her neck, breast, arms, legs and back. I wrote a story about her and other dissidents for USA Today. Below is some of the backstory, details that didn't appear in the "Nation's Newspaper." 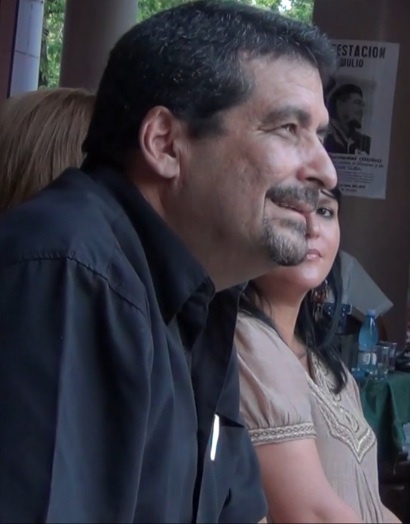 The savage assault on Berenice has been widely reported as politically motivated. 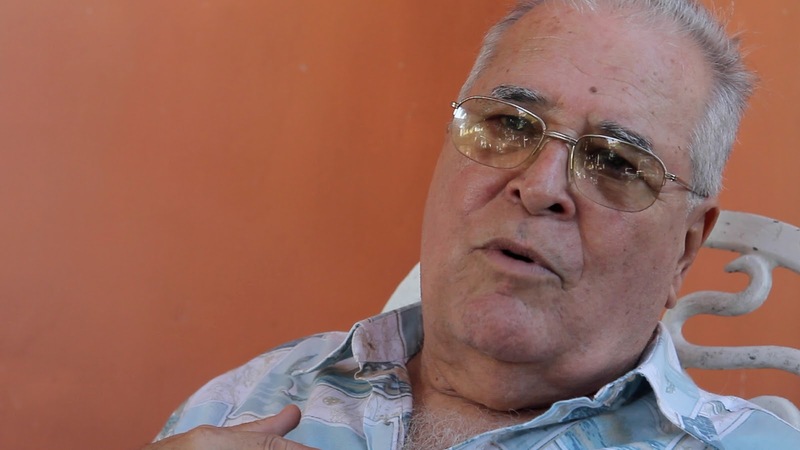 Elizardo Sanchez, director of the Cuban Commission for Human Rights and National Reconciliation in Havana, said he is still looking into the crime and can’t say what caused it. But he said authorities should punish the assailant, no matter the motive. Adonis Subit Lamí, a professor at the Centro de Estudios de la Radio y al Televisión Cubana and the Instituto Internacional de Periodismo José Martí in Havana, contends that politics had nothing to do with the attack. Subit Lamí posted a YouTube video of an interview with the mother of the accused 19-year-old attacker and her boyfriend, Eduardo Antonio Soriano Díaz. Anything said to the contrary is a big lie. 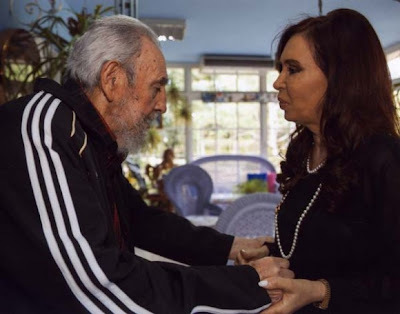 Again, this was an unfortunate quarrel between two young people that could have happened in any dark corner of the world, but it ended up in a rough political campaign of disinformation, which is only intended to discredit Cuba to the world. Subit Lamí said it's also untrue that the accused attacker, Dailiana Planchez Torres, is not being prosecuted. He said she was arrested and later released to await completion of legal proceedings because she was pregnant. Berenice and her aunt, Belkis Felicia Jorrín, say that the 19-year-old has since suffered a miscarriage and is out of jail in the central town of Cienfuegos. They are skeptical she'll be prosecuted and contend she is getting preferential treatment because her father is a purportedly a security or police official. I don't know what's true. It's a muddy case. Sometimes, Sánchez told me, motivation can be traced to both politics and personal reasons. In this case, the personal motive may have been jealousy over the boyfriend. Berenice - I've also seen her name written as Arlet Verenise - denies jealousy had anything to do with it. I am afraid to go back to Cienfuegos. Foes of Cuban government eagerly use such attacks - political or not - as ammunition in their efforts to paint the socialist government in the worst possible light. 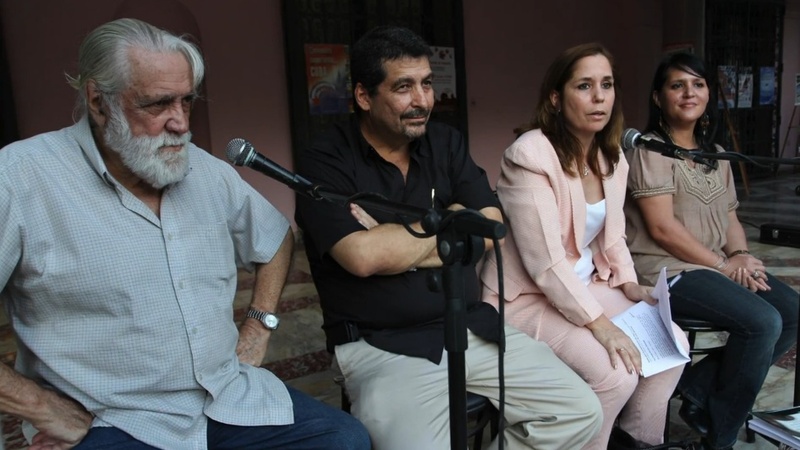 U.S. immigration policy rewards Cubans who claim political persecution, justified or not, which weakens Cuba's internal opposition and undermines longtime American support for democracy activists. It's more of an option to leave and keep your head intact instead of challenging the government. You see what's going on in the Arab world. People have no options left. They have nothing to lose. But in Cuba's case, if people believe there's a shot of leaving and going to the United States, they're going to opt for that. It's human nature. When James Cason was chief of the U.S. Interests Section in Havana, he told me that the democracy movement needed victims. It needed blood. His thinking, as I understood it, was that high-profile victims would help rally support for dissidents' cause. That makes sense. 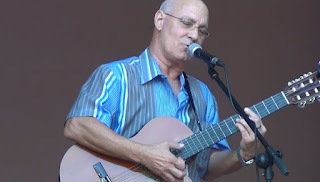 In the eyes of some members of the Cuban opposition, Cuban authorities "killed" these and other activists and that will remain the cause of their demise no matter what the facts may eventually show. I'm not saying they are right or wrong, but I think it's clear that Payá, Pollán and other fallen dissidents are weapons in the information war over Cuba. 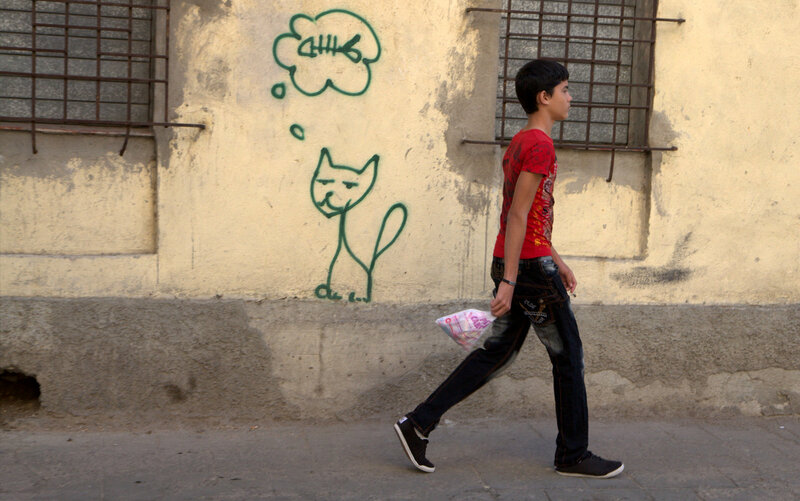 They are cannon fodder in a ferocious, but low-intensity U.S.-Cuba fight. The 15-year-old knife attack victim fits the narrative, whether or not politics figured in her assault. The U.S. government promotes and finances the same story: Cuba is a disaster, a giant prison where dissidents are beaten, harassed and jailed every day. And the tales are spread on blogs and websites, some of which likely receive U.S. government funds. Mainstream media - which I've been a part of for almost 30 years - picks up on and often emphasizes the same narrative. We don't find a need to report other stories, like the fact that Cuba ranks 51st on the U.N.'s Human Development Index, putting it ahead of most other nations in Latin America and the Caribbean in health, education and other areas. We in the media would rather tell the stories as black and white. We're not always as good at describing the grays, the in-between that is full of nuances. 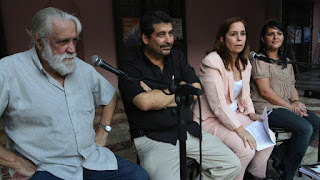 Each time that Cuban authorities arrest any so-called dissidents on the island, the mainstream press invariably says the arrest was made ​​with a beating. It doesn't matter if videos taken during these arrests demonstrate otherwise. I don't doubt that some dissidents are mistreated. At the same time, it would not surprise me to learn that a dissident might exaggerate an abuse or injury for his own purposes - to push his cause, to show his funders that he is having an impact, or to obtain political asylum. I'm sure some people would dispute that notion. What's certain is that the U.S.-Cuba fight is a no-holds-barred, sometimes dirty, always passionate "battle of ideas," and all sides use information to advance their causes and to affirm what they believe. 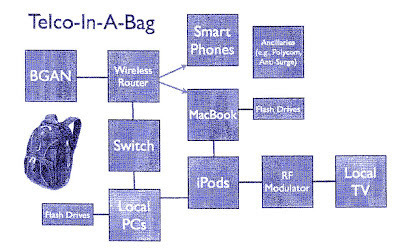 Clusters of blogs supporting one faction or another are part of the machinery. They are affirmation machines, clicking and tweeting, passing along what they believe, rejecting what they don't, spreading the word. We bloggers all do it. Back on the front lines in Cuba, Antonio Rodiles said dissidents' battle against the Cuban government is an unequal and unfair fight. He is founder of Estado de SATS, a group created to promote dialogue and civility. He told me it's difficult to challenge what he described as a "totalitarian government" that controls almost all aspects of life on the island. Other members of the opposition agree. 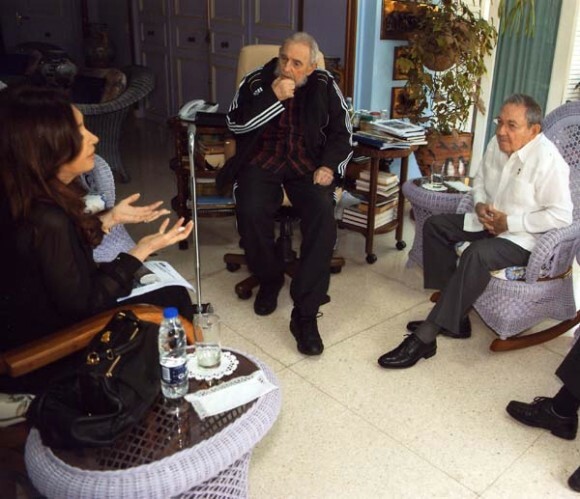 They say the Cuban government has wide-ranging powers and they can’t hope to fight it without outside support. 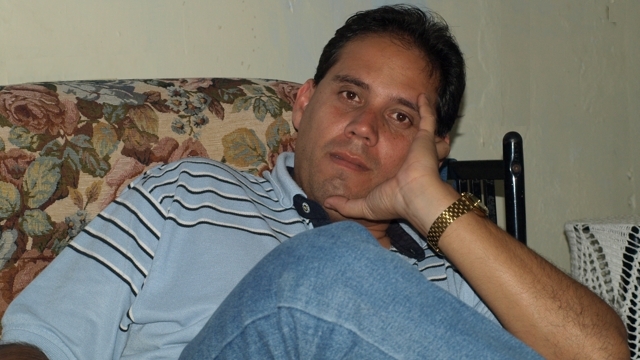 In March 2003, Cuban authorities jailed Ferrer and 74 other activists and gave him a 25-year sentence. He was among the last of the 75 to be freed in 2011 as part of an agreement between Cuban authorities and the Catholic Church. Cuban authorities keep Ferrer under tight surveillance. They make no apologies for acting against dissidents who they contend are financed and supported by a foreign power, the United States. Cuban officials resent the criticism of their country's human rights situation. They say it's not as journalists are getting killed in Cuba. It's not like Mexico, they say. They also complain that American media organizations invariably paint Cuba in a negative light, which they say fuels hostile U.S. policies. Since 1996, the State Department has spent more than $200 million to promote democracy and undermine the socialist government in Cuba. 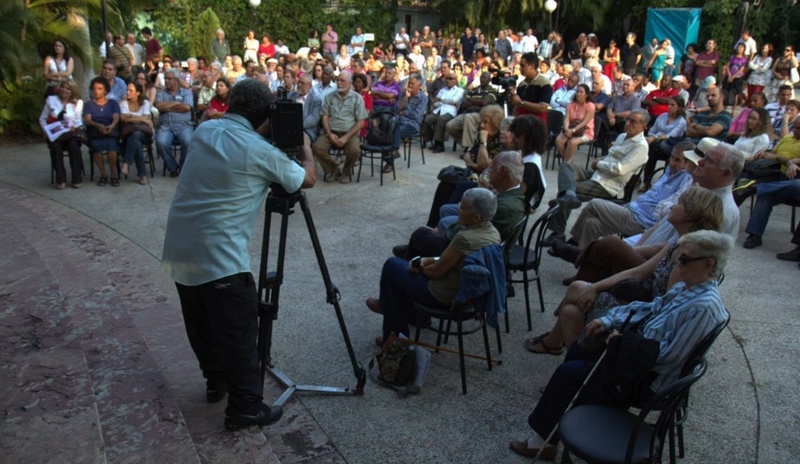 U.S. funds support political prisoners and their families, along with independent civic, social and political organizations in Cuba. 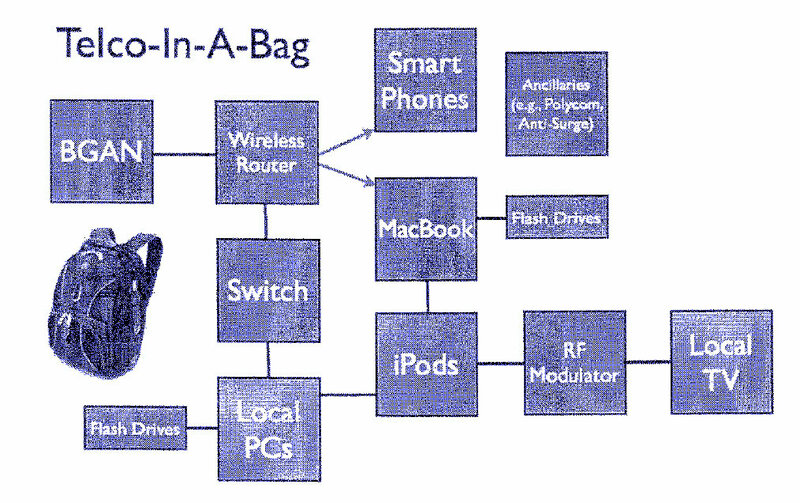 The American government also supplies dissidents with laptops, cell phones and other equipment. Americans have been programmed to believe it is fine for the U.S. to send Rambos, CIA spy equipment and tax dollars to a foreign nation for the purpose of creating a regime change. If another nation did that to the U.S., the U.S. would be outraged. Berenice, the knife attack victim, is caught in the middle of this half-century-old Cold War mess. She is a victim. And at 15, she already bears the scars, terrible scars, no matter what caused her attacker to strike. (See first comment below for one blogger's criticism of Kimber's letter). 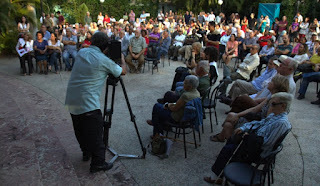 I just posted a video of a book presentation featuring Cuban blogger Iroel Sánchez. See video here. Sánchez is the creator of the blog, La pupila insomne. 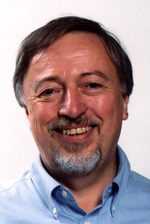 His book is called "Sospechas y disidencias," or Suspicion and dissent, and is critical of U.S. government support for democratic activists in Cuba. Cuban musician Vicente Feliú sang and played the guitar at the presentation in Havana. 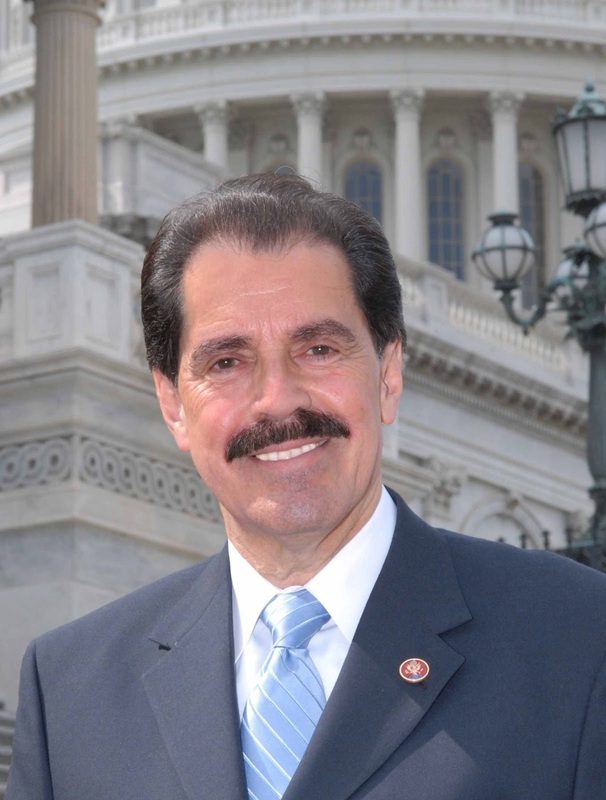 U.S. Rep. José Serrano, D-N.Y., introduced a bill on Jan. 4 to lift the trade embargo on Cuba. H.R. 214 was referred to a congressional committee, where it has a 6 percent chance of moving on to the House or Senate, and a 1 percent chance of being enacted, according to GovTrack.us, a tool aimed at helping the public follow legislation. A short wait, then the light changes. A New Jersey insurance company denied Friday that it owed any money to Gross, an American development worker jailed in Cuba since 2009. 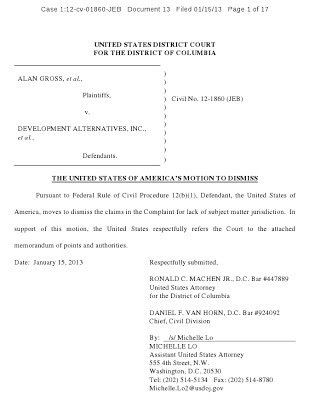 A lawyer for Federal Insurance Company said Gross wasn't covered under the kidnap and ransom policy that Development Alternatives Inc., or DAI, purchased in 2009. Under the $5 million policy, Federal agreed to pay Bethesda, Md.-based DAI certain costs if any of its employees were wrongfully detained. 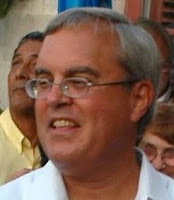 Cuban authorities arrested Gross in December 2009 and accused him of bringing satellite communication gear into the country in violation of Cuban law. He was later sentenced to 15 years in prison. 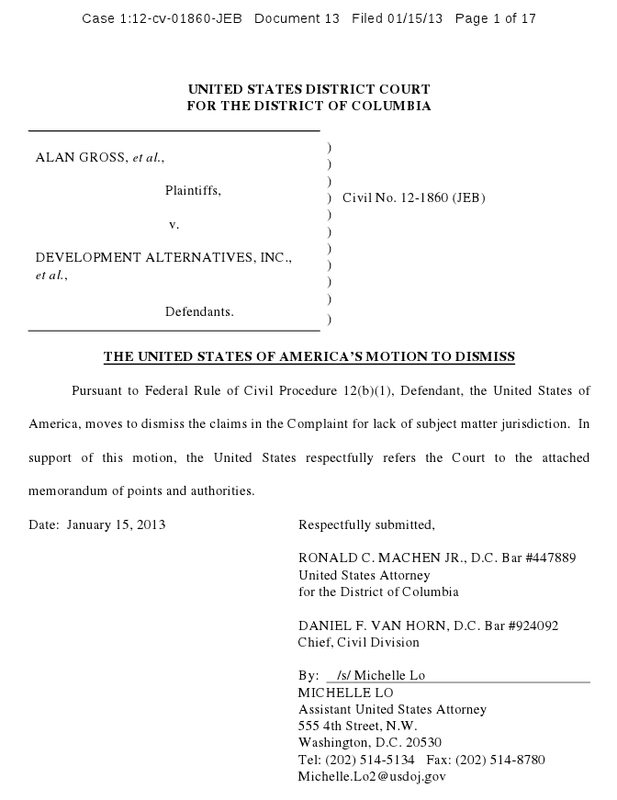 Gross and his wife, Judith Gross, sued Federal on Nov. 16, saying they were entitled to compensation under the policy. But Lisa R. Bonanno, a Washington, D.C., lawyer for Federal, said Gross wasn't eligible to collect any money. First, Plaintiffs lack standing to pursue the claims alleged in the Complaint. ...the policy only requires Federal to provide coverage to DAI for the expenses that it pays in connection with a Wrongful Detention. Thus, the policyholder DAI – and DAI alone – is the only party entitled to make the claim that Plaintiffs bring here. An old blue beast rumbles west toward Havana, eventually reaching the tunnel entrance and then passing under the Bay of Havana.